See who is on a call. Drag and drop blind transfer an active call. Drag and drop calling to other users. Login and out of queues and call center. 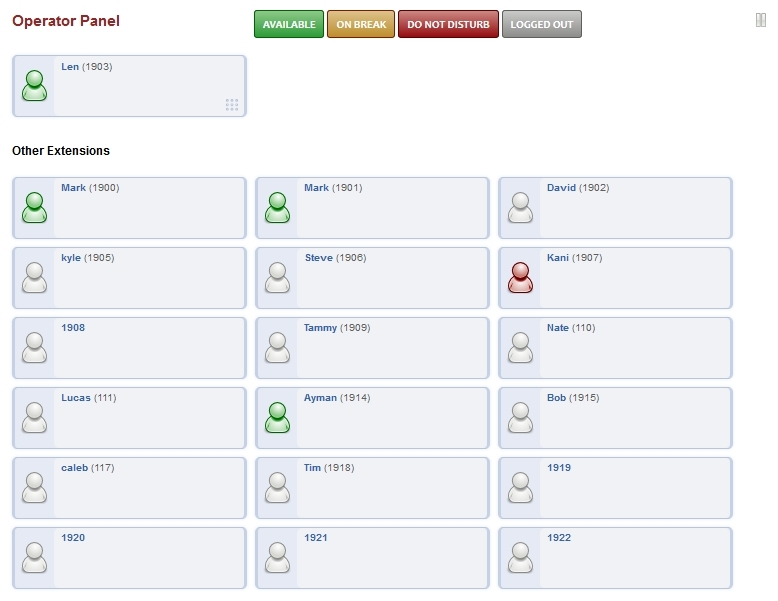 You can see the status of other users also depending on what permissions are set to the user. Make sure in Accounts > Extensions that the extension is assigned to the user. This will enable Operator Panel for that user. Available: The user will receive a call. On Break: The user won’t receive a call but can still receive a call from other users that directly call. Do Not Disturb: The user won’t receive any calls. Logged Out: The user won’t receive any calls as they are logged out.